How much does an orangery cost to build? Orangeries are having a bit of a moment, after living in the shadows of conservatories for so long. Once built in the 17th and 18th century to house - you guessed it - citrus fruit, they’re now making a comeback, as more and more homeowners look at constructing their own. And if you're scratching your head, wondering what the difference between an orangery and a conservatory is... it’s the glazing! Orangeries are like normal extensions but they have a glazed lantern roof. Like most extensions, orangery prices can vary. And you should definitely think of this as an extension, and not a conservatory, at least in terms of budget. At minimum, you’ll likely spend between £15,000 - £20,000 for a basic design and build. This can go up to £50,000, or more, if you opt for more elaborate features. This being said, organgeries tend to be slightly cheaper to their traditional extension counterparts, and offer more monetary re-sale value than a conservatory. Don’t forget: it’s easy to be tempted into cutting costs by opting for cheaper building materials, such as low-quality pine. However, we always recommend putting your money into a good quality build, and save money in your fittings. Interior design always depreciates in value, but a solid structure is where you’re going to make your money when it comes to selling, and it’ll save you having to make expensive repairs later down the line as those cheaper frames start to give way. Do you need planning permission for an orangery? Orangeries, like conservatories and classic extensions, fall within your permitted development rights - provided you meet certain requirements. The rules to permitted development can be a little confusing, so if you can get an architect on board, they’ll be able to help navigate these rules so you don’t end up going down the planning permission route. Because they’re constructed with less glazing, organeries tend to retain heat better than their conservatory counterparts. However, they can still suffer from some similar conservatory woes, especially when it comes to ventilation. To avoid this, our biggest recommendation for any orangery enthusiast would be to install a Trickle Vent into your double glazing. Trickle Vent is a very small opening in your windows, that allows fresh air to naturally circulate around the room. This ventilation helps to reduce bad smells, damp, and stops the build up of mould. 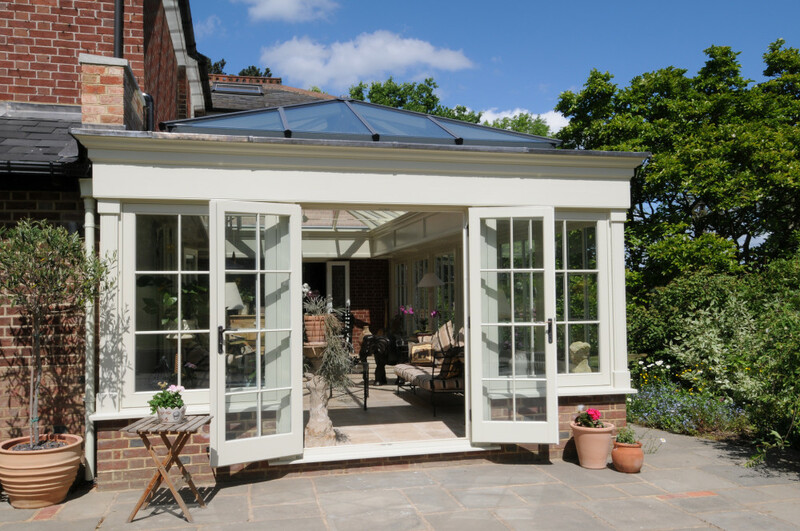 If you would like more advice on building an orangery, why not book yourself into a free consultation with our experts? How much does a kitchen extension cost?